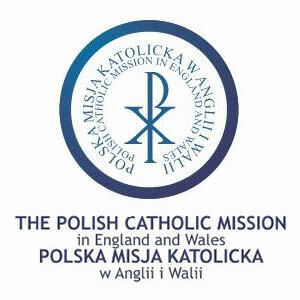 1.1 The local Polish Catholic Mission in Brighton (LPCM) is part of the Polish Catholic Mission in England and Wales (the PCM) which is a charity registered with the Charity Commission in England and Wales. Its charity number is 1119423 and registered address is 2-4 Devonia Road London N1 8JJ. In this Notice, references to 'we' and 'us' mean the LPCM and PCM. 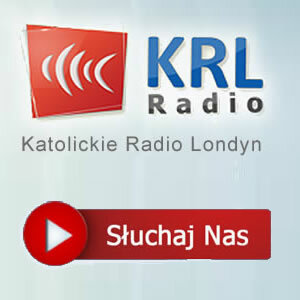 1.2 When you provide us with Personal Data in order to engage with us and/or benefit from our activities, we will keep a record of the data you give to us in order to enable us to comply with our statutory obligations and to achieve our charitable objects of advancing and maintaining the Roman Catholic religion through the operation of our local Polish Catholic Missions (LPCM) and our other activities. 1.4 Everyone has rights with regard to how their Personal Data is handled by organisations. The PCM is committed to ensuring that Personal Data is properly and securely managed in accordance with the relevant data protection laws, and believes this is an important part of achieving trust and confidence between the PCM and those with whom it interacts. Please read this Notice to understand how we use and protect the information that you provide to us or that we obtain or hold about you, and to understand what your rights are in relation to information that we hold. This Notice applies to information about living identifiable individuals only. 2.1.12 any other information which you choose to provide to us or that we are provided by others. 3.2 Any information gathered through cookies and similar technologies via the PCM website or the website of any LPCM, is used to measure and analyse information on visits to the website, to tailor the website to make it better for visitors and to improve technical performance. We will not use the data to identify you personally or to make any decisions about you. 4.2.9 Where it is in the substantial public interest, and necessary for the safeguarding of children and vulnerable adults. 4.3.8 where it is carried out in the course of the PCM's legitimate activities as a not-for-profit body with religious aims (e.g. carrying out pastoral activities). 5.1 We will only use your Personal Data within the PCM for the purposes for which it was obtained, unless you have explicitly agreed that we may share your Personal Data with another organisation or unless we are otherwise permitted or required to under the Data Protection Rules or order of a Court or other competent regulatory body or as set out in this Notice. 5.4 Sometimes the LPCMand PCM contracts with third parties whom we ask to Process Personal Data on our behalf (e.g. IT consultants, distributors of parish newsletters and directories). We require these third parties to comply strictly with our instructions and with the GDPR. 5.5 We also may be required to share your Personal Data so that the PCM can benefit from Gift Aid nominations you have made e.g. with HMRC. 5.7 In the course of Processing your Personal Data, or disclosing it to the recipients referred to above, we may transfer it to countries which are outside the European Economic Area (EEA) (e.g. 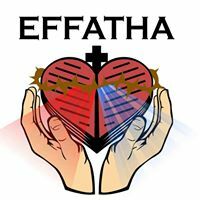 the Vatican), some of which may not have laws which provide the same level of protection to your Personal Data as laws inside the EEA. In such cases we will take steps to ensure that the transfers comply with the GDPR and that your Personal Data is appropriately protected. We do so by requiring them to satisfy us that they have a code of conduct affording an adequate degree of protection for your data, approved by a competent national or international supervisory authority. 6.1 Your information will be kept in accordance with our Retention & Disposal of Records Policy, copies of which are available from the dataprotection@pcmew.org In any event, we will endeavour to only keep Personal Data for as long as is necessary and to delete it when it is no longer so. 7.3 Rights may only be exercised by the individual whose information is being held by the PCM or with that individual's express permission. Children from around 12 years upwards are entitled to make their own requests (where the PCM is of the reasonable view that they have an appropriate understanding of the request they are making) and parents / guardian / family members do not have an automatic right to see information about their child or prevent their child from making a request to the PCM. 9.2 Any complaints will be dealt with in accordance with the PCM’s Complaints Policy. 10.1 Cookies, also known as browsers or tracking cookies, are small text files that are added to your computer when you visit a website. They help websites to perform certain functions e.g. to know who you are if you log into a restricted part of a website, for shopping carts, and for tracking purposes. They do not capture any data identifying you personally, except if you choose. "DataController" means a person, organisation or body that determines the purposes for which, and the manner in which, any Personal Data is processed. A Data Controller is responsible for complying with the data protection laws including the GDPR and establishing practices and policies in line with them. "DataProcessor" means any person, organisation or body that Processes personal data on behalf of and on the instruction of the PCM. Data Processors have a duty to protect the information they process by following data protection laws. "DataSubject" means a living individual about whom the PCM processes Personal Data and who can be identified from the Personal Data. A Data Subject need not be a UK national or resident. All Data Subjects have legal rights in relation to their Personal Data and the information that the PCM holds about them. "PersonalData" means any information relating to a living individual who can be identified from that information or in conjunction with other information which is in, or is likely to come into, the PCM’s possession. Personal Data can be factual (such as a name, address or date of birth) or it can be an opinion (e.g. a performance appraisal). It can even include a simple email address. A mere mention of someone's name in a document does not necessarily constitute Personal Data, but personal details such as someone's contact details or salary (if it enabled an individual to be identified) would fall within the definition. "SpecialCategoriesofPersonalData" (previously called sensitive personal data) means information about a person’s racial or ethnic origin, political opinions, religious or similar beliefs, trade union membership, physical or mental health or condition or sexuality. It also includes genetic and biometric data. Special Categories of Personal Data can only be processed under strict conditions and such processing will usually, although not always, require the explicit consent of the Data Subject. “Data Breach”A personal data breach means a breach of security leading to the accidental or unlawful destruction, loss, alteration, unauthorised disclosure of, or access to, personal data. This includes breaches that are the result of both accidental and deliberate causes. It also means that a breach is more than just about losing personal data. It can be broadly defined as a security incident that has affected the confidentiality, integrity or availability of personal data. In short, there will be a personal data breach whenever any personal data is lost, destroyed, corrupted or disclosed; if someone accesses the data or passes it on without proper authorisation; or if the data is made unavailable, for example, when it has been encrypted by ransomware, or accidentally lost or destroyed.